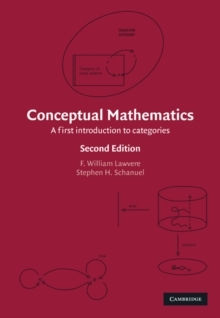 In the last 60 years, the use of the notion of category has led to a remarkable unification and simplification of mathematics. 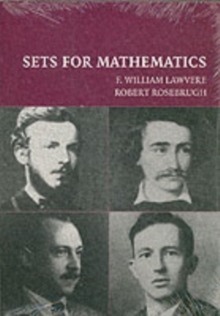 Conceptual Mathematics introduces this tool for the learning, development, and use of mathematics, to beginning students and also to practising mathematical scientists. This book provides a skeleton key that makes explicit some concepts and procedures that are common to all branches of pure and applied mathematics. 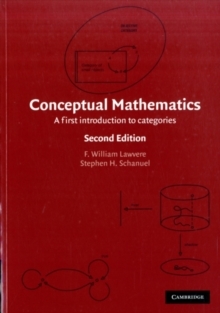 The treatment does not presuppose knowledge of specific fields, but rather develops, from basic definitions, such elementary categories as discrete dynamical systems and directed graphs; the fundamental ideas are then illuminated by examples in these categories. This second edition provides links with more advanced topics of possible study. 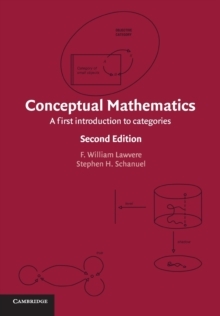 In the new appendices and annotated bibliography the reader will find concise introductions to adjoint functors and geometrical structures, as well as sketches of relevant historical developments.